AHI is a New York State-designated lead Health Home and serves all ages. 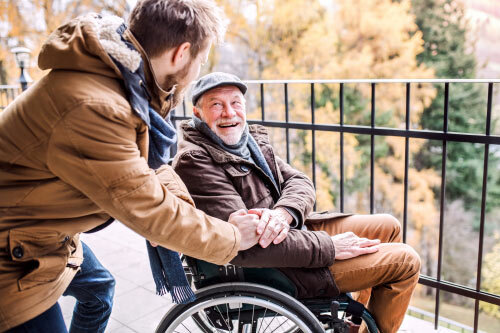 A Health Home is not a place; it is a care management service that connects community and social supports with health care, and provides better organization of medical and behavioral health care. A Health Home ensures all caregivers involved with a person talk to one another so they can focus on their client’s needs. The AHI Health Home Care Management program goal is to improve care coordination for high-risk Medicaid individuals, reduce duplicate services, reduce emergency department visits and inpatient admissions, and lower costs. The AHI Heath Home Care Management program is a partnership of primary care providers, hospitals, and several behavioral health and community-based organizations. call 866.708.2912 or email [email protected]. Health Coaches and Community Navigators are familiar with and trained on local services and resources and can help you get them easily. Most of these individuals are employees of Community Based Organizations (CBOs). These direct community support services staff can help you reach goals related to your health and health care needs.They will help you make more informed choices and give you confidence when speaking with your doctor and can also assist with connecting you to services. They are also experts on available programs and resources within their own services are and understand the needs of the population served by the organization they work at. Community Advisory Councils are made up of community members looking to actively help give input, advice and are subject matter experts on community services and resources available to their peers. 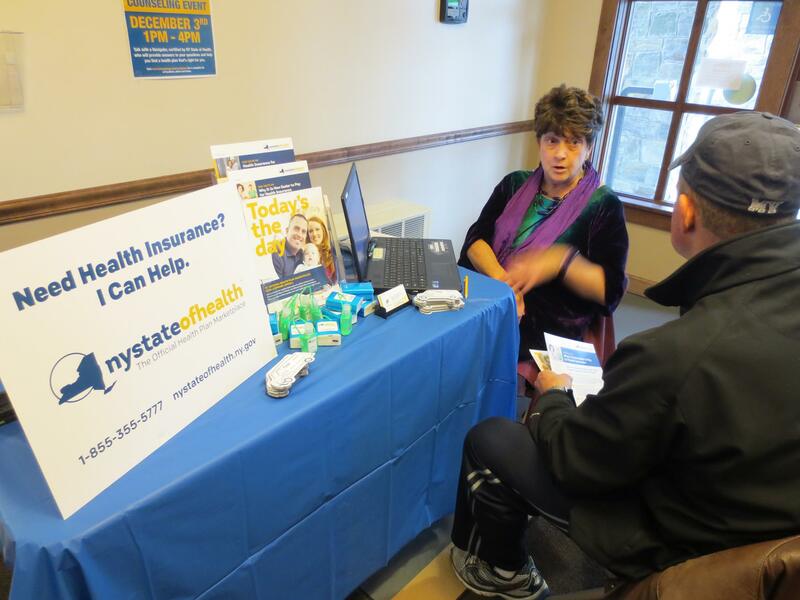 Our EASE (Enrollment Assistance Services and Education) program assists individuals, families and small business owners enroll in health insurance coverage through the NY State of Health Marketplace. We serve seven counties: Clinton, Essex, Franklin, Hamilton, Saratoga, Warren, and Washington. We don’t charge and we’re not an insurance company. We help you look at available insurance plans and find out if you’re eligible for financial assistance. Request an appointment online or call toll-free, 1.866.872.3740, to make an appointment with a certified enrollment specialist. We’ll help you review your health insurance choices in-person, for free. Community Navigators know how to easily access important local resources. They can help with connecting you to services and programs to make it easier for you and your family to stay healthy. They live and work within the communities they serve and understand their unique needs. Health Coaches work with you to set and reach goals related to your health and health care needs. They can support you in making more informed choices and to feel more confident when speaking with your doctor or other providers. Talk to your doctor, case manager, or another trusted service provider if you’d like support to improve your health or to find resources that can make it easier to live a healthy life. 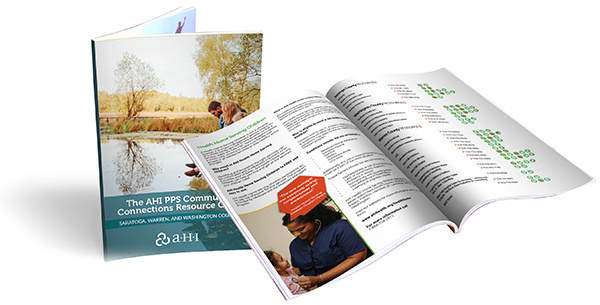 You can also find contact information for community navigators and health coaches in our AHI PPS Community Connections Resource Guides. The AHI PPS Community Advisory Council is made up of community members who use their experience navigating the health care and social services systems in their communities to create solutions to common challenges. They are advocates for themselves and their communities, and their ideas and feedback help to improve care and services in our region. Community Advisory Council satellite groups currently operate in Plattsburgh, NY and Glens Falls, NY, and are vital to making sure the community member and patient perspective is heard.